What is romance scam and how does it work? 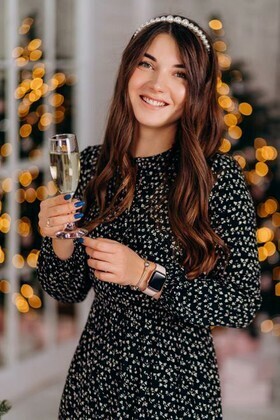 Unfortunately, on your way to a successful dating with Russian and Ukrainian ladies through web site you could meet romance scammers. They are fraudsters who create a fake profile with fictional name, date of birth and other fake personal data. Romance scammers could steal personal data and pictures of real people that couldn’t find such a fraud because they don’t often use internet. You need to clearly understand that you could be suffered from romance scam both in real life either via Internet as well. Let us share how to avoid romance scammers in the next article. People who are looking for love online are always at risk. Scammers and blackmailers are always ready to pose themselves as honest people and cheat men whose hearts are open. Dating scammers disappoint men deeply, and they give up their hope to find a soulmate online, while there are so many lovely ladies on dating sites. However there are some ways to avoid scammers. It is necessary to be attentive while communicating online and follow our tips. These tips concern giving your private information, using bank accounts etc. Warning signs appear, you just have to see them and take actions. And if you want to avoid scammers for sure, join the online dating website UaDreams! Their anti-scam system will surely protect you. Nowadays scam activity on dating websites is very popular phenomenon. It is sad to recognize it because some dishonest people who cheat on dating websites don’t let those really serious men and women find each other and create happy couples. The main goal of female dating scammers is extracting money from men. Usually such kind of activity takes place if a man and woman have the possibility to exchange personal contact information. In this case the woman can ask man for money directly. If the man communicates with a foreign woman, and she starts asking him for financial help because some relative is ill or because of some serious problems in family, these are very clear characteristics of scam. The other popular example is when the lady persuades man in her deep love and asks him to help with visa and tickets in order to arrive to his country. Of course, when necessary financial help is received, the woman disappears completely in the majority of cases. If you plan to use dating website for the search of your life partner from other country, pay attention on anti-scam protection which the chosen dating website offers. UaDreams.com is a popular Ukrainian dating resource and it pays a lot of attention to protection of male and female members from scam. Facebook is one of the most popular social networks in the world, but even there you can become a victim of fraud. 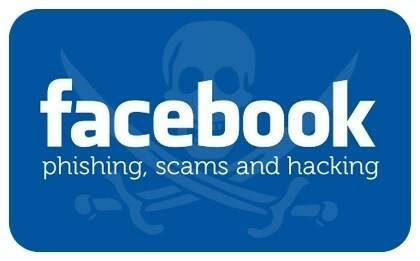 Facebook employees try to protect members of their website from online scam. They use spam filters and block malware users. 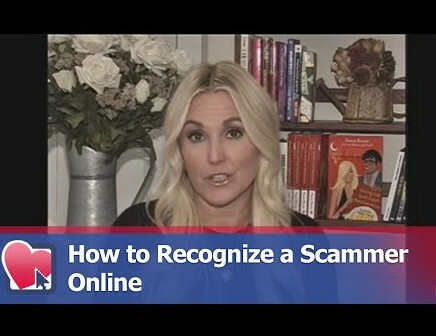 However a lot of scam pages post their advertisements, comment and even simple quizzes on Facebook to draw your attention in order to become your personal data etc. In this article you will find a lot of recommendations how to avoid fraud on Facebook. You will find out how to act with posts that cacth your attention or require your clicks. Statistics shows that romance scams cost cosumers more money than any other kind of Internet fraud. Hearts and money of many men and women are at risk. We often have not enough time to meet somebody in real life and turn to internet dating. Though a lot of people have found love online, others are not so fortunate. You may think this could never happen to you, but each person can become a victim of Internet fraud. 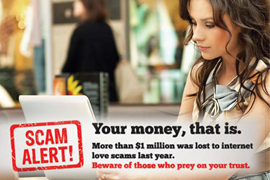 How can you protect yourself against dating scam? What kind of dating websites should you use and how to behave there? Today we will find replies to all these questions.